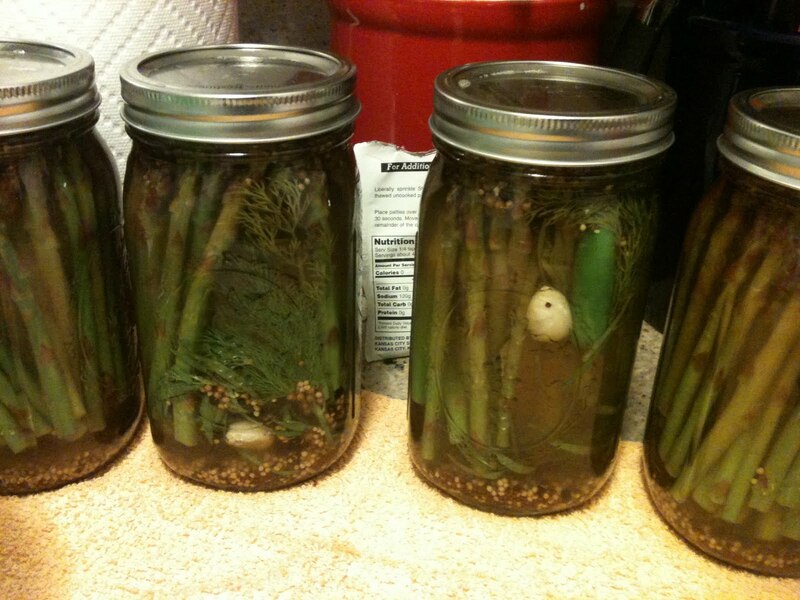 My friend Michael has gone canning mad! 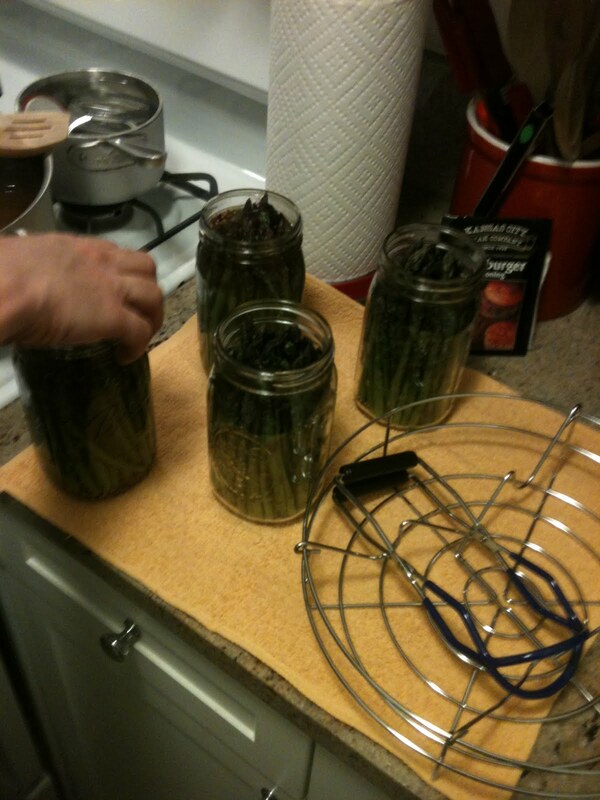 I went up and joined him for his second canning of the season: Asparagus Pickles. 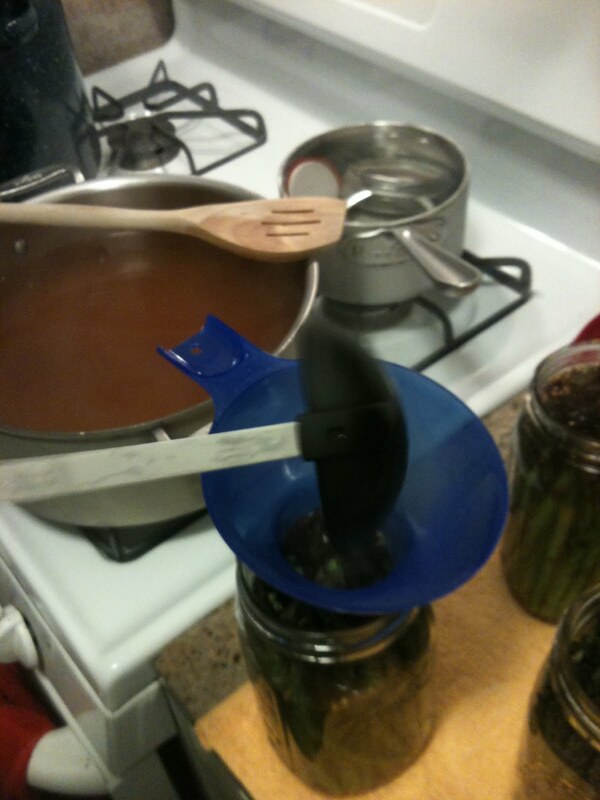 The recipe is from an wonderful new canning book called Tart and Sweet. Fresh tarragon, dill, mustard seeds both yellow and black, a bay leaf, whole garlic, and a hot pepper topped off with a simple brine. I’ll have to get the exact recipe for your from Michael, but for now enjoy the pictures. 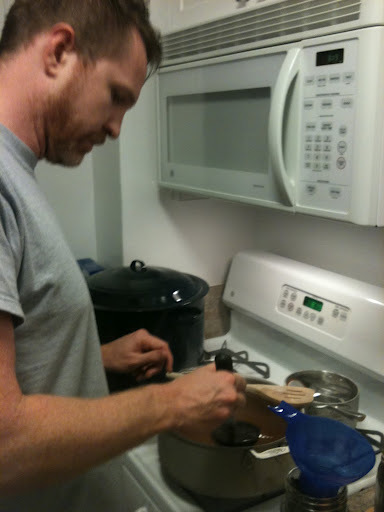 Michael very focused, ladling up his brine to pour over the prepared asparagus. Ready for a hot bath. So pretty, the perfect swizzle stick for a Bloody Mary. 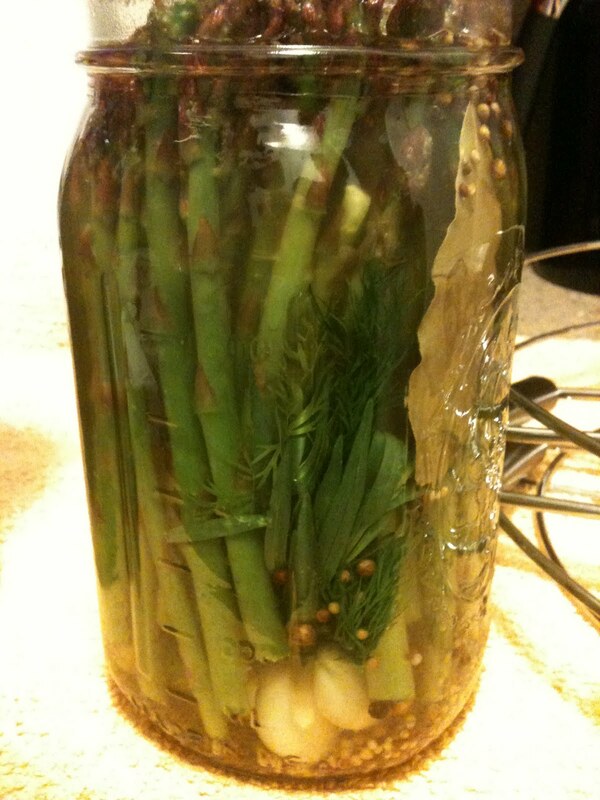 This entry was posted in Recipes and tagged Asparagus Pickles, canning, Michael Maier. Bookmark the permalink.